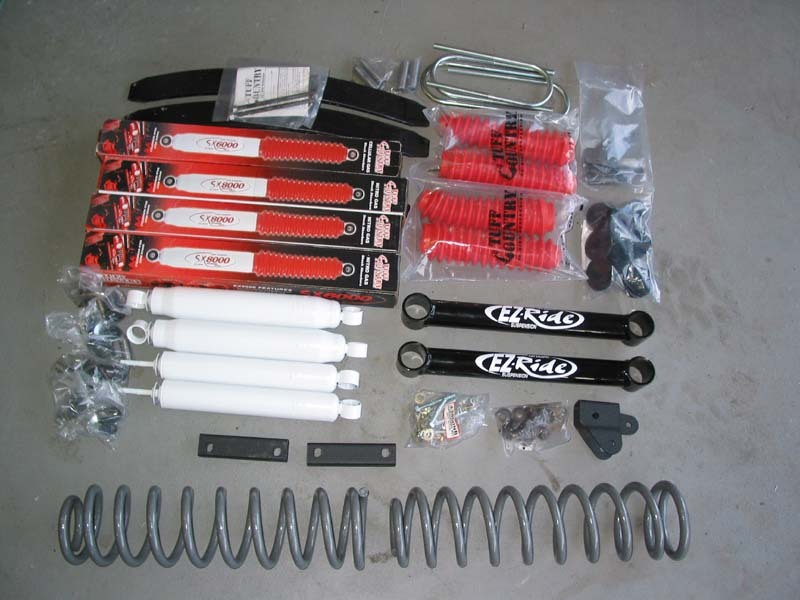 The Tuff Country suspension is comes complete with everything you need (shocks ordered seperately). The new SX8000 shocks are considerably longer than stock. The first step in my budget Jeep buildup was the same initial modification made by many four wheel drive owners; a suspension lift to gain additional ground clearance and allow room for larger tires. 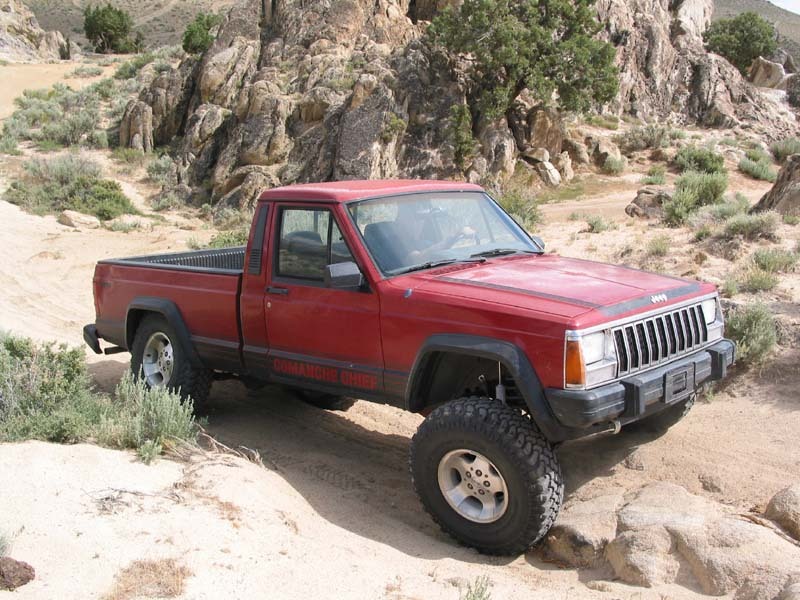 Previously the Comanche had been wearing 30" Goodyear AT/S tires that were take-offs from a Jeep Wrangler. I wanted to add 33" for more clearance. In order to stuff the bigger meats under the rig I was willing to run bump stops and trim some sheetmetal, as clearance is more important that articulation for this particular application. I chose a Tuff Country 3.5 lift kit from Suspension Connection for a number of reasons. The kit is reasonably priced, yet still properly engineered. 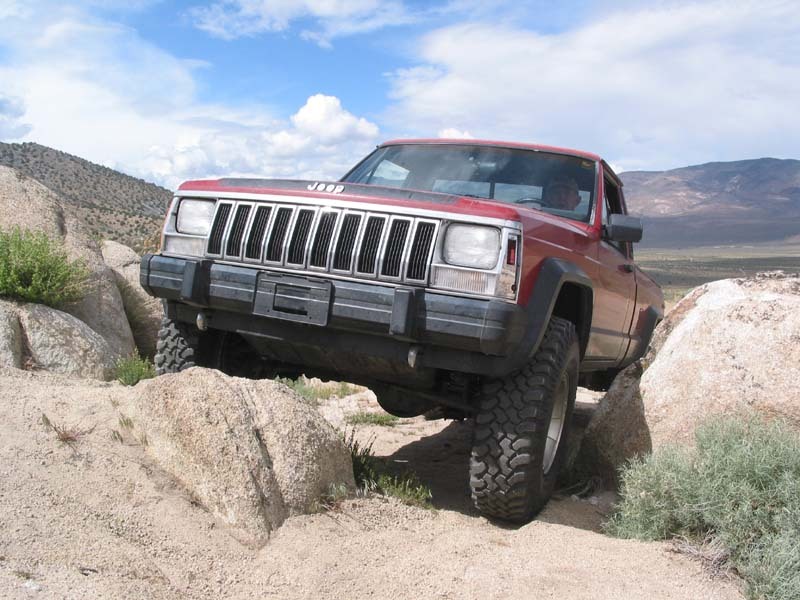 Lower priced Cherokee/Comanche lift kits only provide lifted front coil springs or spacers and do not account for the change in geometry of the track bar or control arms. High end kits provide longer control arms with spherical rod ends and new sub-frame assemblies, but cost more than the purchase price of the Comanche! As with Goldilocks, the Tuff Country suspension lift is just right. The kit comes with new coils, as well as lower control arms and a track bar relocation bracket to ensure proper geometry. Other well engineered details include the brake relocation brackets and all bushings and hardware. Optional Tuff Country SX8000 shocks were also used with the lift. These hydraulic shocks offer controlled rebound without being overly harsh on compression; perfect for the all-around use of my Comanche. 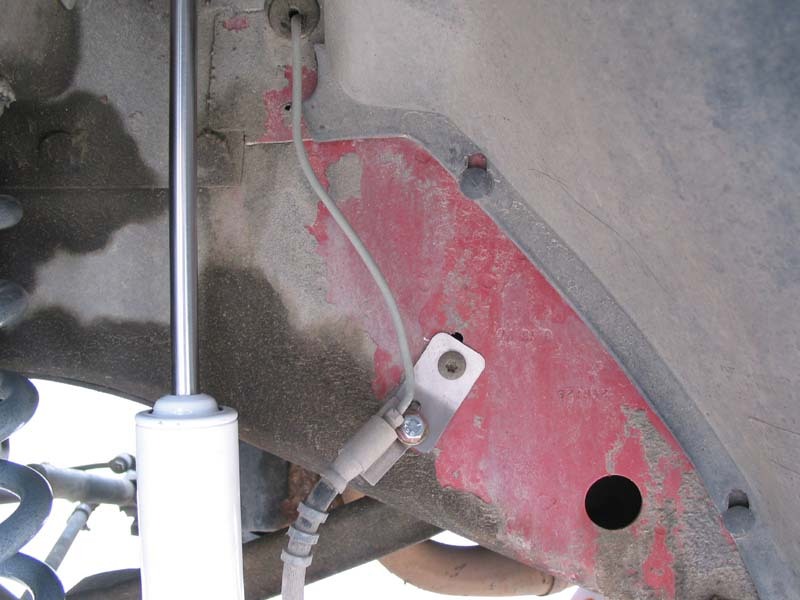 Tuff Country offers sway bar disconnects as an option, which I would highly recommend since the stock end links are too short once the lift is installed. The lift was installed in my driveway in one day by two mechanically inclined individuals equipped with a wide array of hand and air tools. I started by blocking the rear wheels and jacking up the front of the vehicle by the differential. Jackstands were placed under the unibody directly behind the mounts for the lower control arms. 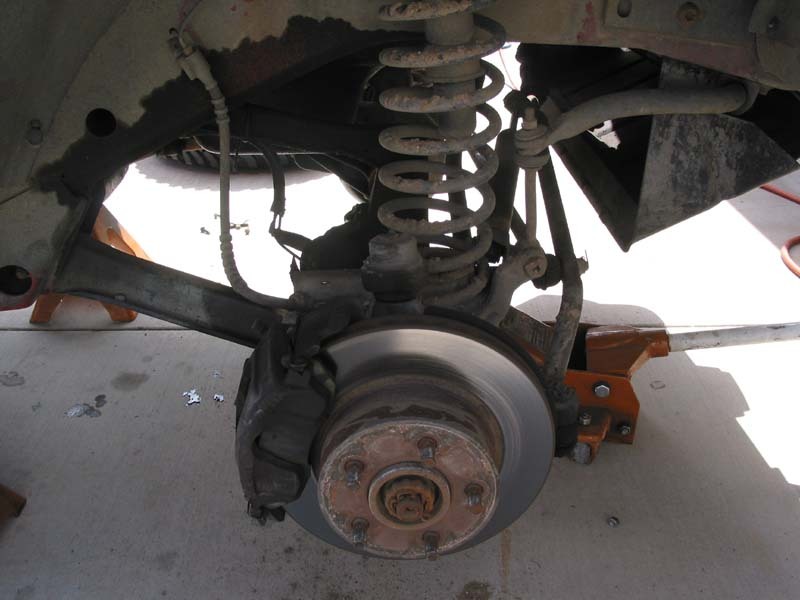 The brake lines brackets, sway bar end links, and shocks were then disconnected. Note that the upper shock mount on the driver's side is located under the master cylinder. 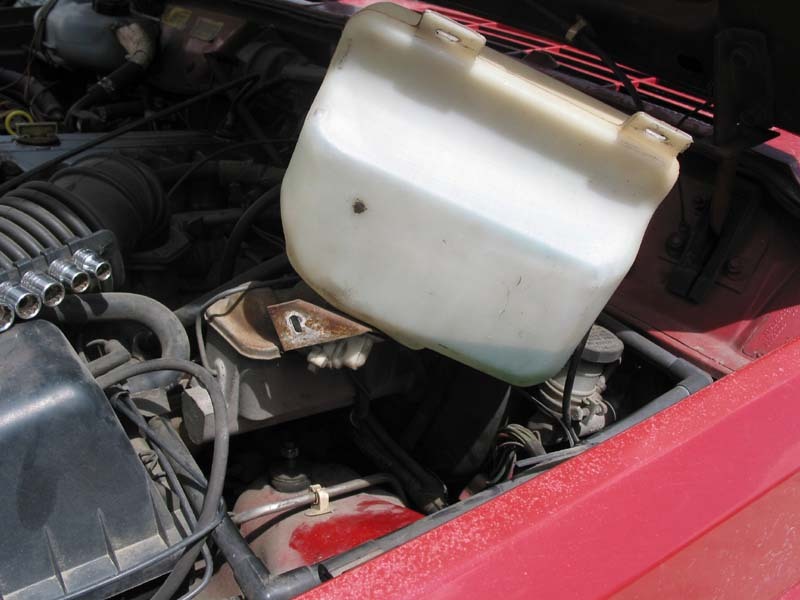 I accessed this mount by removing the windshield washer fluid reservoir. 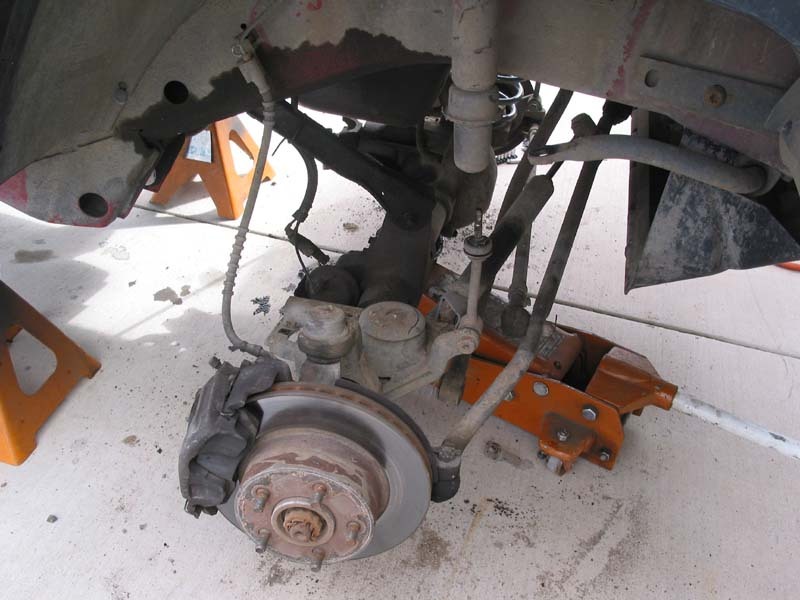 Next the lower control arms and coils were removed and the steering stabilizer and track bar were disconnected. 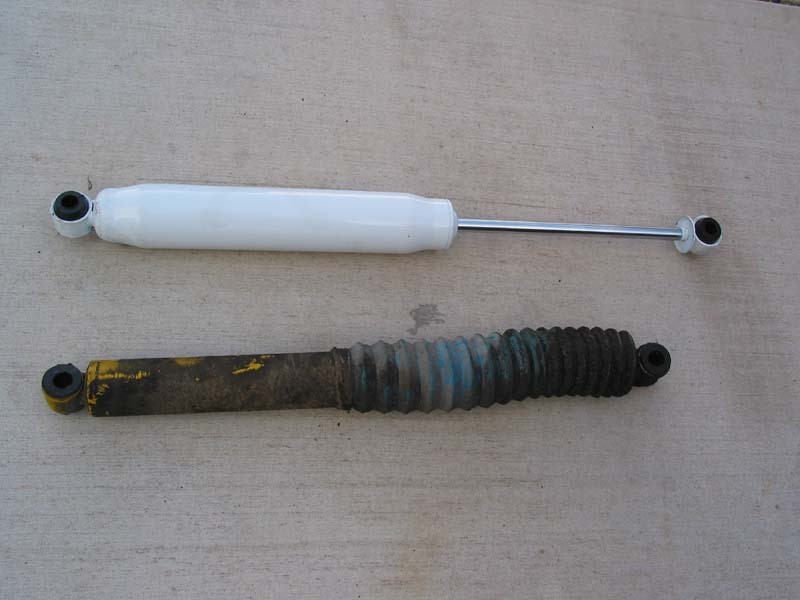 A spring compressor was not necessary to remove the old springs or install the new, longer coils. Disassembling the front suspension is straightforward. A ratchet strap was used to pull the front axle into position. With the front suspension disassembled, it was time to start installing the new components. The instructions included with the Tuff Country lift kit were very thorough and will not be repeated in their entirety here. I started by loading the new control arms and SX8000 shocks with the included polyurethane bushings and a liberal amount of grease. The control arms are fitted with zerks to facilitate easy lubrication in the future. Next I installed the new coils and then the control arms. This proved to be difficult, since the entire front axle had dropped and rotated with only the upper control arms locating the differential. In retrospect it may have been easier to compress one side of the suspension and just change one coil and control arm at a time to properly locate the axle. Instead I used a ratchet strap to pull the axle into position so that the new lower control arms could be installed. The new shocks were then installed, along with the brake line extensions. I had to slightly enlarge the locating hole on the extensions and bend one of them for fitment, but these were minor inconveniences. Finally the track bar relocation bracket was installed. 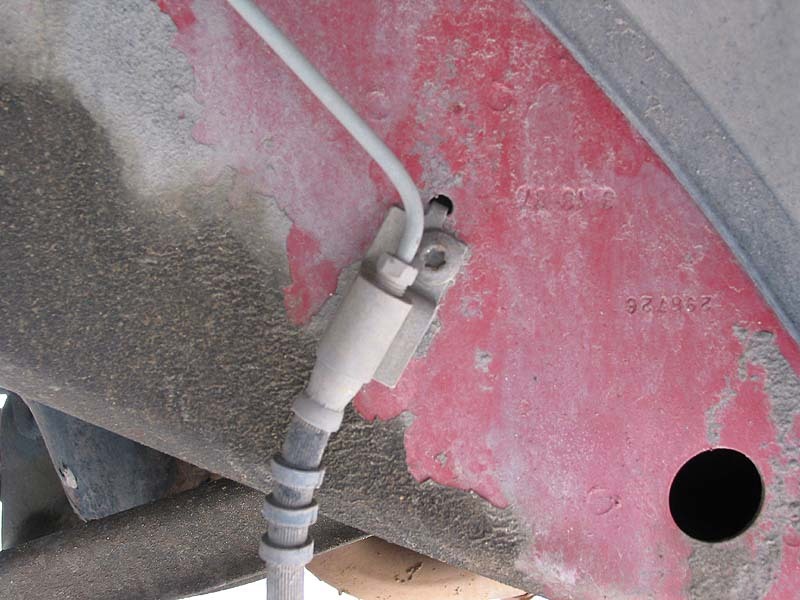 This bracket lowers the track bar and moves the mounting point to the driver's side. The bracket requires an additional hole to be drilled in the mounting area and also took some minor adjusting in order to fit on the front of the Comanche. 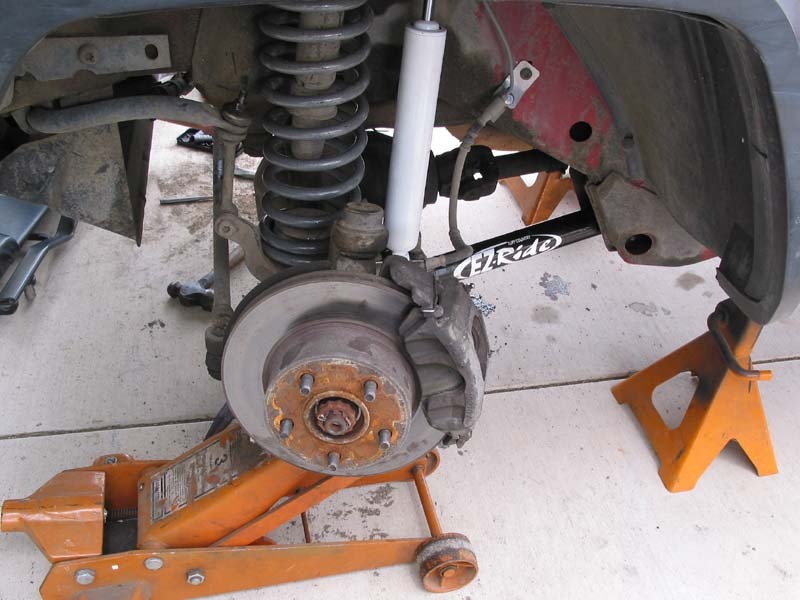 Once the mounting hole was enlarged, the bracket bolted right up and the front suspension lift was completed. The stock brake lines are retained and lengthened with extended brackets. 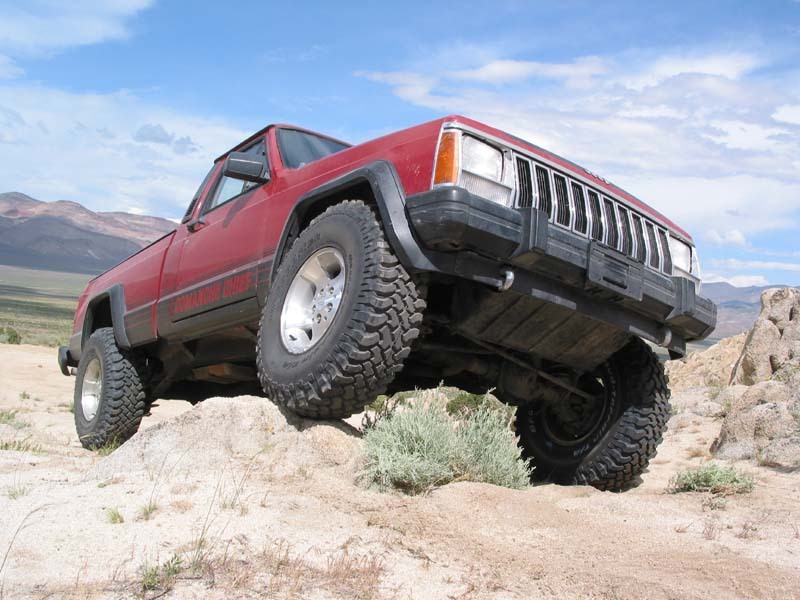 While the front suspension is the same, in the rear the Comanche differs from the more common Cherokee. While the Cherokee uses full unibody construction with 51 springs over the rear axle, the Comanche has frail rails from the cab back and uses 57 long springs situated under the axle, as well as a longer stock shackle than the Cherokee. All of this means that I was unable to use the lift block that Tuff Country usually provides with its Cherokee lift kits. This was only a minor setback though, and one that the customer service representatives at Tuff Country were already familiar with. They provided me with an add-a-leaf and new center pin for my rear springs, which brought up the back of the pickup to match the lift in front. Installation of the add-a-leaf was simple compared to the front suspension. 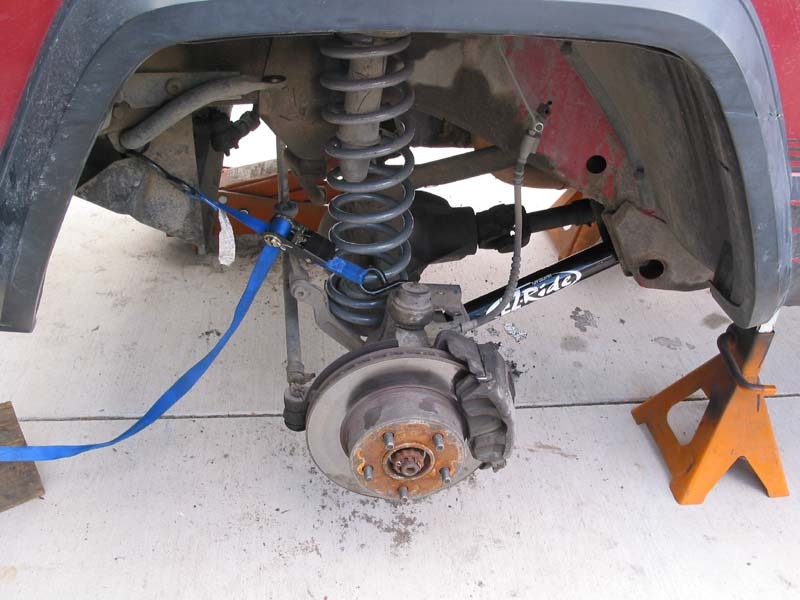 Once again I began by blocking the front wheels, lifting the vehicle by the differential, and adding jackstands fore of the spring mount on the frame. Next I removed the shocks and loosened the u-bolts on both sides of the truck. I then took the u-bolts off from one side as well as the spring center pin. The add-a-leaf was added to the spring pack just above the overload spring and combined with a new center pin. The center pin was trimmed with an angle grinder before the new u-bolts were installed. Since the u-bolts were long enough to accommodate Cherokee lift blocks, I compared their length to the stock u-bolts and trimmed them down with a chop saw before installing them. 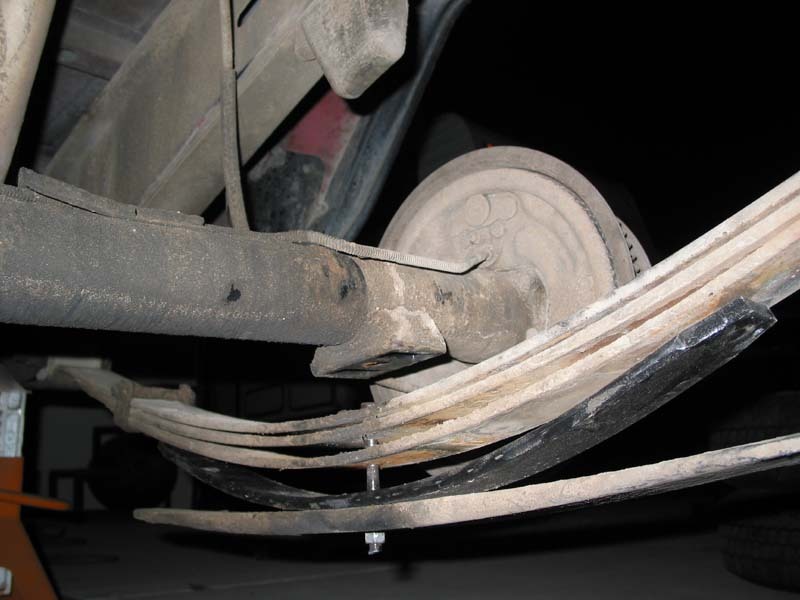 The procedure was repeated on the other leaf spring before everything was tightened to the manufacturer's specifications and the new shocks were installed. Although shock boots were included, I elected not to install them at this time. The add-a-leaf has considerably more arch than the stock springs. These are the tires that we are trying to fit. Big improvement. 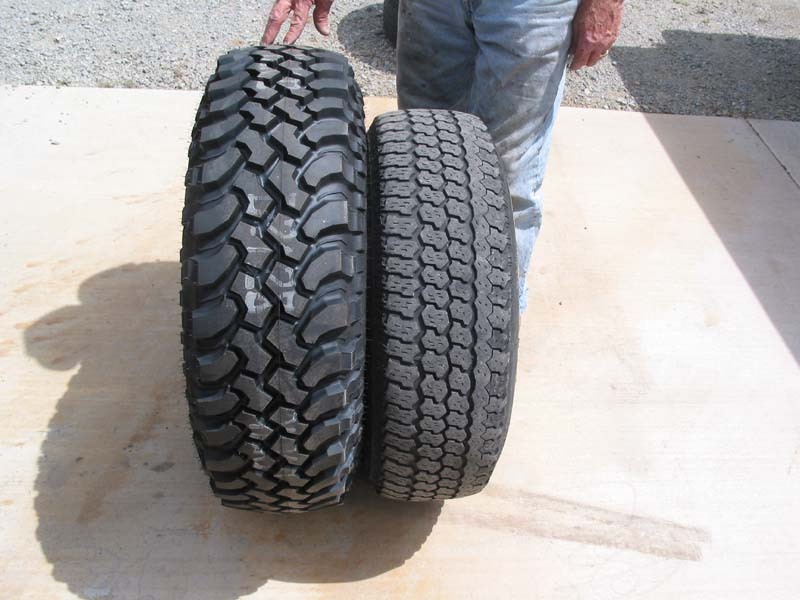 The new rolling stock consists of 33x10.5R15 BFGoodrich Mud Terrain T/A KMs mounted on factory Jeep Canyon rims. These rims offer an updated look and tuck nicely in the wheel wells. They are also quite affordable since there are many Jeepers looking to discard their stock wheels. The tires were chosen for their additional height and relatively narrow section width. BFGoodrich is one of the few companies to offer a 33 tall tire in this width, and it creates less issues for vehicles with small wheel wells, such as my Comanche. Once the tires were installed though, it was obvious that they were too large, even with the narrow width. Tuff Country suggests a 31 tall tire with this suspension lift, and I would have to agree with them. Rather than concede defeat, I will be performing some minor surgery on the Comanche's sheetmetal in order to fit the tires. Other effects from the larger rolling stock include increased braking distances and a definite need to regear the differentials in the immediate future. A slight driveline vibration is also present. 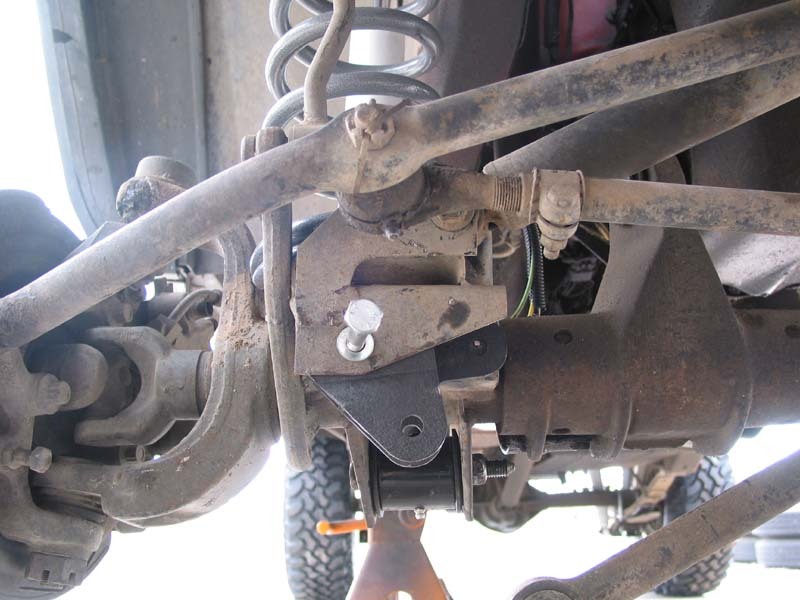 Tuff Country includes spacers to lower the transfer case crossmember, however these were omitted in favor of a future slip yoke eliminator for the transfer case. The suspension works well, but with this much tire some trimming is needed. The trackbar bracket lowers the axle mount and moves it to the driver's side. Tuff Country recommends having a professional alignment performed immediately after installing the lift kit. Since I did not disconnect the drag link or the tie rod, I was hoping to same some money and skip this step. The steering wheel however, was not centered after the lift was installed since the effective length of the drag link was changed by the taller coils and relocated track bar. A quick trip to the alignment shop remedied this problem and will help preserve the new tires. The new suspension offers a firm, controlled ride without being overly harsh. In addition, the back add-a-leafs brought up the sagging rear and increased load carrying capacity, an important trait on a truck used for as many various tasks as this Comanche. With the sway bar disconnected, the available travel was limited only by the tires rubbing the fender flares. Check back soon as I document the steps taken to address the issues raised (no pun intended) by the new suspension lift and tires.